Dr. Zingaro brings over 25 years experience in plastic surgery to Sono Bello and to his many happy patients. His commitment to excellence is shown daily through his patient interactions and the compassion he shows while practicing medicine. His compassion has led him to several Central and South American countries where he has donated his skill and time to organizations that provide reconstructive surgery to underserved areas in third world countries. He is a certified diplomat of the American Board of Plastic Surgery. He is also a member of the American Society of Plastic Surgeons, the California Society of Plastic Surgeons, and the San Francisco Surgical Society. 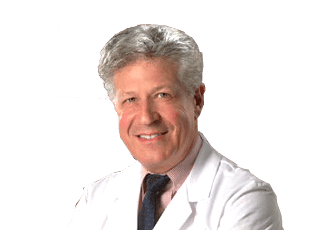 Dr. Zingaro was educated in both the United States and Europe. He completed his undergraduate studies at Manhattanville College in New York then attended medical school at the University of Sassari in Italy. Following medical school, he completed a five year general surgery training program at Nassau University Medical Center in New York (State University New York – Stony Brook), spending one year as chief resident in surgery. He went on to complete three more years of fellowship training in plastic surgery at St. Francis Memorial Hospital in San Francisco, including one year as chief resident in plastic surgery. His chief of plastic surgery was so impressed with Dr. Zingaro that he invited him to join him and other mentors in practice at Plastic Surgery Medical Group, one of the oldest and most prestigious plastic surgery practices in San Francisco. When he isn’t practicing medicine, you’ll find Dr. Z (as people affectionately call him) playing the piano, bass, drums and other instruments. He performs regularly with various local musicians.